Amid the extraordinary clamor of the DIFC Gulf Art Fair — during which host town Dubai was championed as the next art market capital — a quiet and thoughtful show opened not too far away at a local gallery called Total Arts. 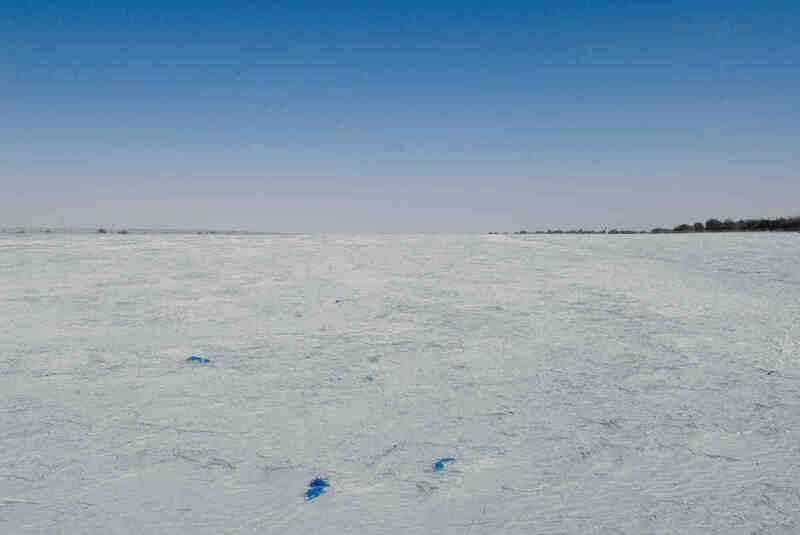 The intent behind Dubai, Dubai was contemplative and noncommercial. 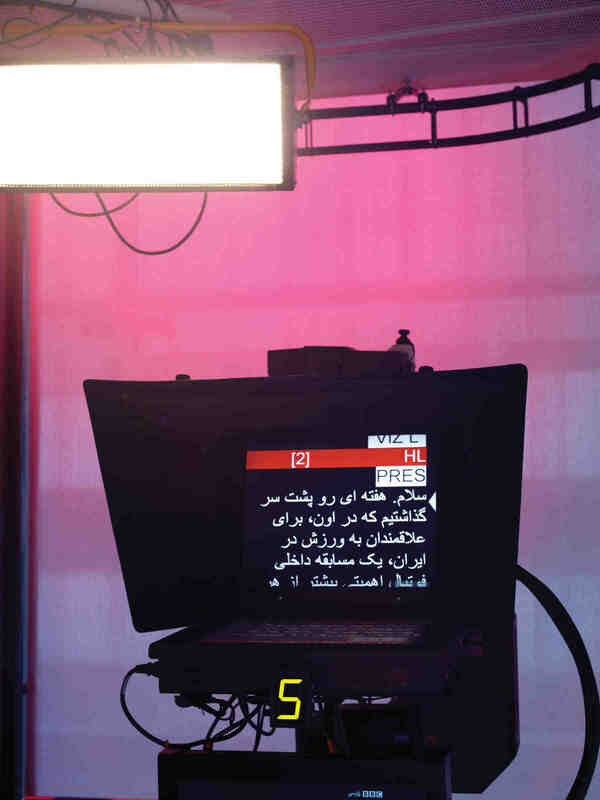 Curated by artist Nadine Hammam (who had a sound piece in the show), the exhibition offered viewers an opportunity to consider the nature of the Emirate independent of its often overwhelming PR-driven hype. 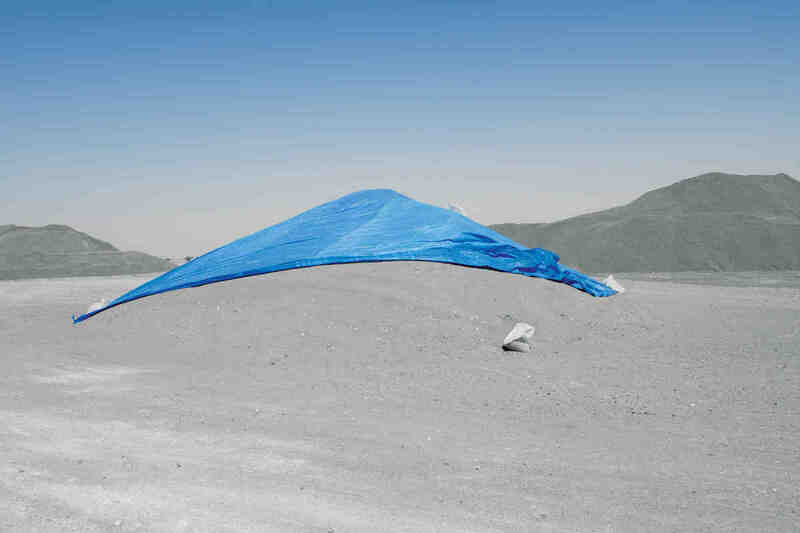 Eight UAE-based artists, working across a range of media and hailing from a plurality of backgrounds and philosophies, were invited to reflect on the cultural and physical landscapes of Dubai and surrounding areas. The photographic work in the show was particularly rich and engaging. 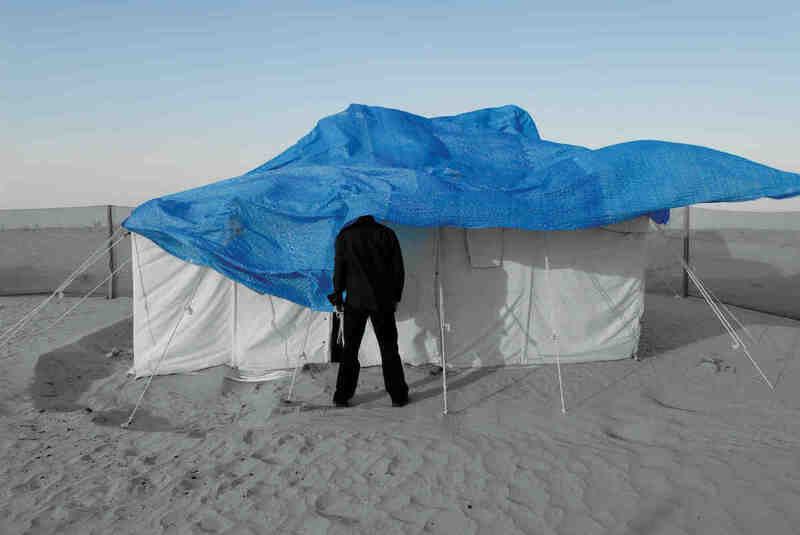 Tarek Al-Ghoussein’s somber yet poetic series of photographs Untitled 1-5 (C Series) (2007) and one-channel video Blue (2007) alluded to a sense of unattainable longing. Making use of the scrappy desert beyond the city, the works reflected a concern with barriers, land, and belonging, illustrative of the artist’s long-term exploration of his relationship with Palestine as a homeland. 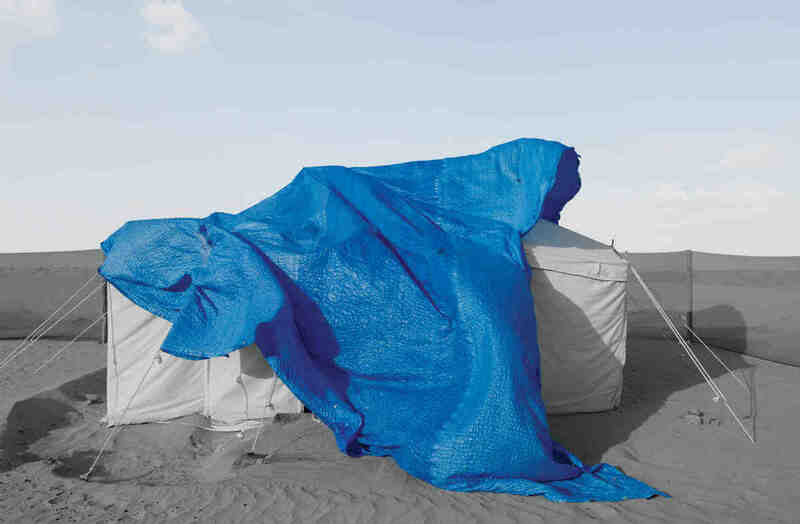 The near-monochromatic nature of the images drew the viewer’s eye to the only color in the frame, a vivid blue tarpaulin flapping and struggling in the wind. Mohamed Kazem’s Autobiography 1993 Version II 2006 (2006), a series of sixteen photographic prints of everyday objects placed on a kitchen scale, was also well executed. Kazem’s work draws upon notions of time, memory, and materiality, questioning the value of object over memory. In the context of Dubai Dubai, the work seemed especially apt, commenting as it did on the Emirate’s consumerist bent. The piece was originally produced in 1993 and recreated in 2006 — a ploy, it seemed, to ironically recontextualize an old idea. Total Arts, one of Dubai’s most established and independent galleries, is located in Al Quoz, the city’s industrial center, in a warehouse block that owner Dariush Zandi has transformed into a “street” of galleries and interior design shops. Artist Shaghayeq Arabi worked within the atrium space above the gallery entrance to create an aerial installation for the exhibition, hanging melancholic figure-like mesh sculptures from the ceiling, which visitors could maneuver with a pulley system. Layla Juma’s fax paper installation Errors (2007) and Nasser Abdulla’s film Silent Men (2007) also functioned well given the show’s thematic intent. Sarah Ayoub Agha’s large-scale paintings, critiquing the objectification of women, were, in contrast, awkward. Although Agha’s vivid graphic style was engaging, her canvases — such as Silence A (2006), a portrait of a “voiceless” woman with no mouth — did little to advance feminist discourse. It would have been interesting to see Agha, or another painter, take on a more specific, local subject — perhaps one more obviously connected with the theme of the show. Emerging artist Karima Al Shomaly constructed a large white box-like structure in the middle of the gallery, complete with peepholes along the sides, some of which revealed portraits of Emiratis who appeared to be silenced with tape across their mouths. While somewhat clunky, this installation did invoke multiple readings and encouraged viewers to recognize their own easy assumptions as such — for the peepholes necessitated a narrow gaze. 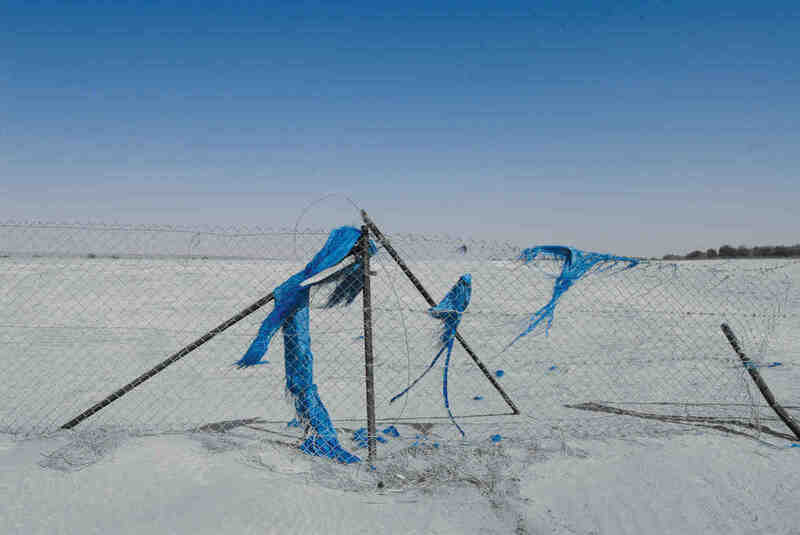 The exhibition’s critical attitude toward the rapid change taking place in Dubai was unusual for the UAE, where celebratory or romantic images of both city and desert tend to prevail. Indeed it was something of a relief to see local artists and an arts organization opting to explore Dubai from a critical perspective, instead of wrapping themselves wholly in the commerce of art. With satellite branches of the Louvre and Guggenheim due to open in Abu Dhabi in the next five to ten years, and the likely institutionalization of the DIFC Gulf Art Fair as an annual event, it seems vital that Dubai and the other Emirates develop their own strong, local artistic voices — along with the venues to support such work. Total Arts goes some way toward providing that support by interspersing more commercial shows with increasingly challenging new work.